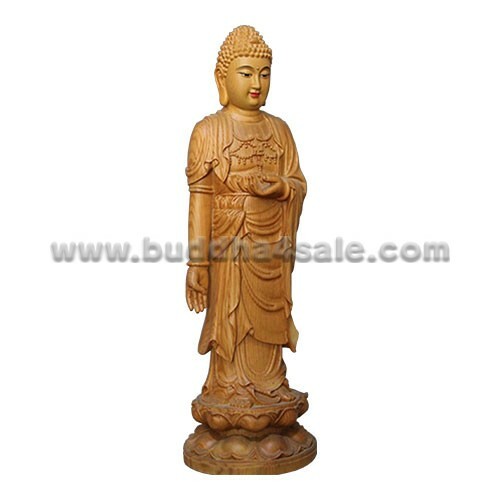 • Placement: Meditation Room, Study Room, Office, Library, Shrine, Front Door, Patio, Foyer, Mantel, Etc. 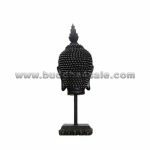 • Beautifully designed this Burmese style Buddha head features the rounded ushnisha pattern on the head which with the flaming pointed top knot. It is mounted on a delicate plinth with a long post. 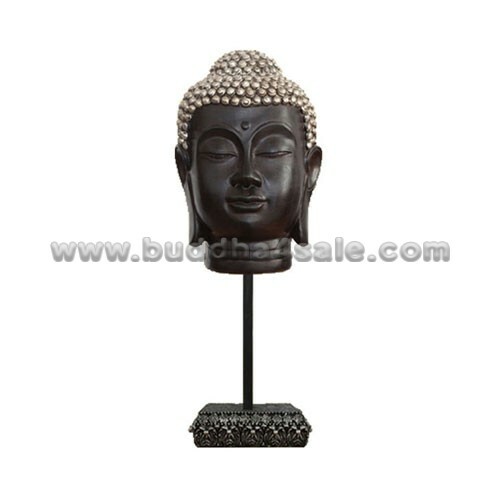 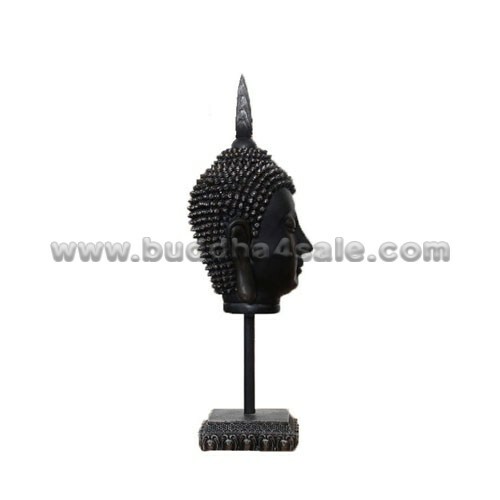 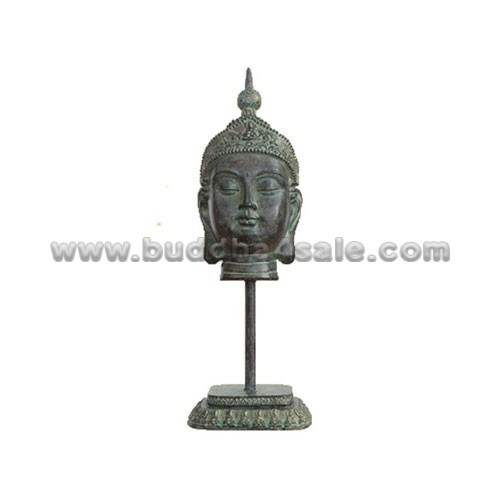 An Southeast Asian style decorative accessory, a particularly fine reproduction resin Buddha head, though it comes in a black wood-like finish. 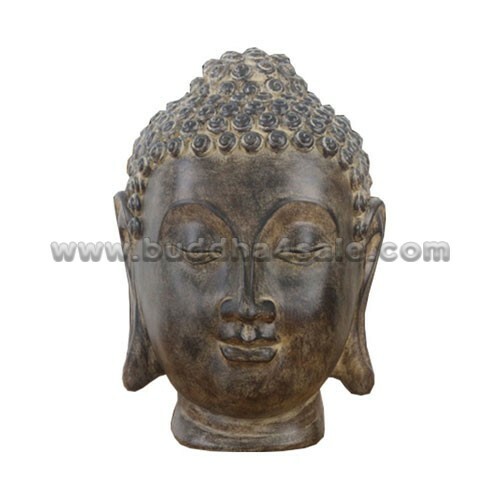 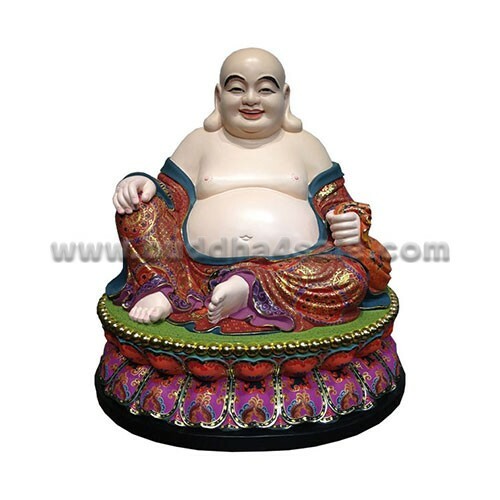 • This beautiful decor is ideal to be placed on any tabletop or mantelpiece in your living room or hallways which will add peace to your room space. It will blend well the element of Southeast Asian beauty and charm with your home interiors. 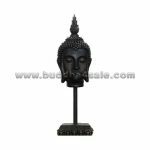 • Contemporary table artwork with Thai and Burmese religious blend.